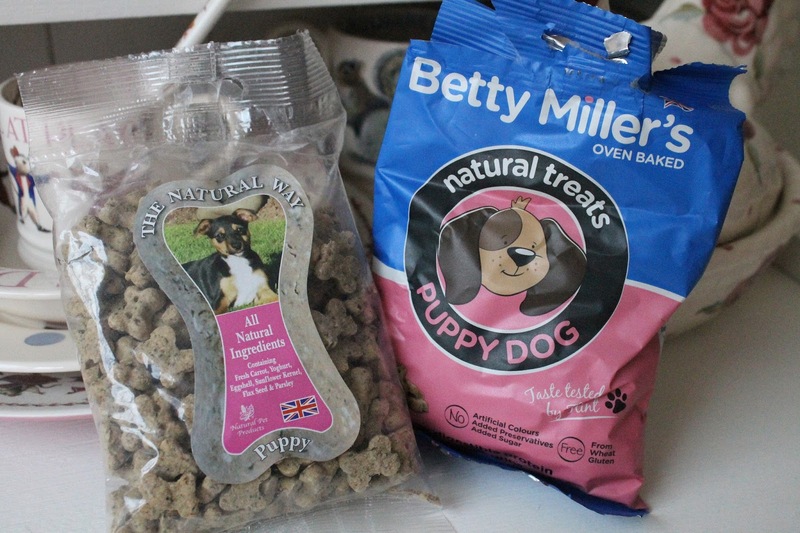 We are back from our holiday and ready to start blogging again; starting with a review of the puppy treat box that we were very kindly sent by Barney's Biscuit Boxes. If you follow Archie's instagram then you may remember this little sneak peek photo from a few weeks ago... look at that packaging! 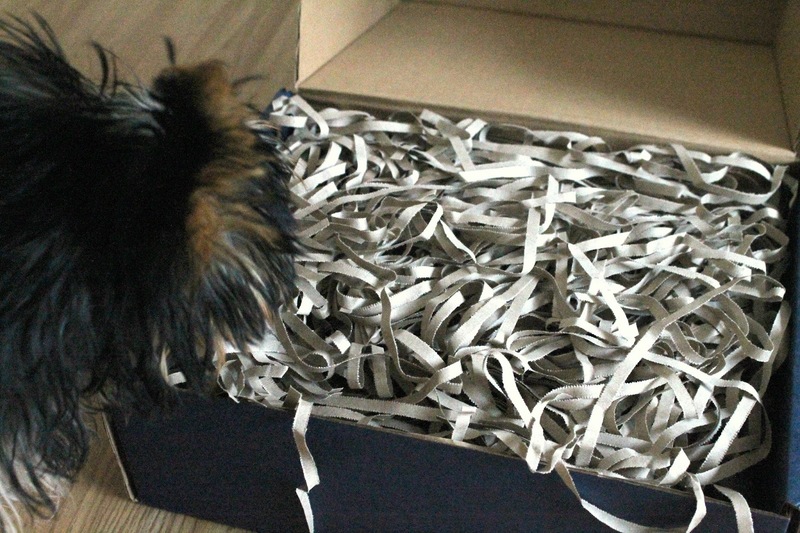 The treats are sent in special boxes, with the Barney's logo on. Good packaging is always such a great touch. 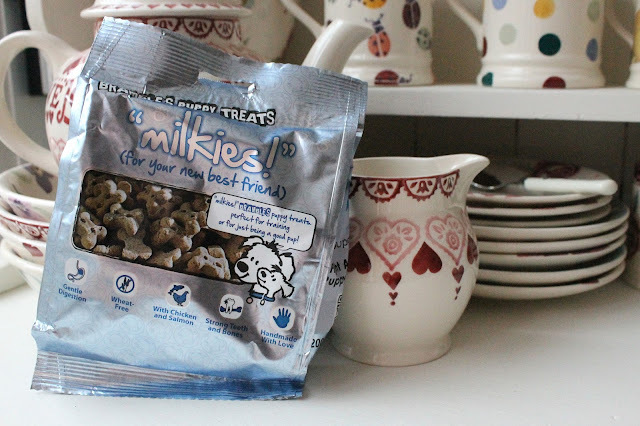 There are a few reasons I agreed to review one of these boxes: firstly, Archie is a fussy pup, and I'm always on the lookout for new treats that he will enjoy. Every treat included in these boxes is of the top quality, as well. They use human-grade ingredients, with no additives, derivatives or preservatives. That is a huge bonus for me, as someone who strives to feed their dog on a grain-free, preservative-free diet. Finally, Barney's Biscuit Boxes are heavily involved in promoting adoption of rescue dogs, and the fight against backyard breeders and puppy farms. A donation from each biscuit box goes to a UK dog rescue, and another donation goes into a fund to help rescues with the veterinary costs that come with puppy-farmed puppies. I think this is absolutely fab, and is something that I wish more companies were doing. As Archie is only 18 weeks old, we received the puppy box to try out. After having a look through the ingredients of each item, I'm 100% satisfied and confident that these are great brands, that contain only the best. Archie has already had a taste of all these treats, and he hasn't turned his nose up at a single one, which is some sort of miracle! "Our range of biscuit boxes attempts to cover every type of dog. We have a biscuit box for Puppies, Small Dogs, Medium Dogs, Large Dogs, Dogs with Sensitive Tummies, and Dogs on a Vegan Diet. All except the Puppy and Sensitive Tummies boxes come in two sizes, Starter and Large. Puppy and Sensitive Tummies come in one size, because a puppy won't be a puppy for too long, and dogs with sensitive tummies don't usually get too many treats. The Starter box donates 50p to a UK dog rescue of choice of the customer, and 50p to our veterinary fund for puppies rescued from closing puppy farms. The Large box donates £1 to the customer's favourite UK dog rescue and again 50p to the veterinary fund." Another great thing about these boxes is that they're not a subscription service; you can buy as many or as few as you want, and only have to pay that one-off cost for the box, rather than sign up for several months. The products and their ingredients are also listed on the website in advance, so you can check the contents for anything your dog might dislike/be allergic to before you buy. I really do think these boxes are fab, and I think I'll definitely get Archie one of the Sensitive Tummies boxes when he's a little older. Additionally, they're hoping to launch a Meaty box soon... and there are even doggy advent calendars at Christmas! I can't wait. Do you think a Barney's Biscuit Box is something you might try? Let us know!